Did You Know? Katie Leung had not intended to audition for the role of Cho Chang. Her dad told her where the auditions were being held, and on a whim she decided to audition before going shopping. Quotables: DUMBLEDORE: Now the pain that we all feel at this dreadful loss reminds me, reminds us all, that though we may come from different countries and speak in different tongues, our hearts beat as one. In light of the recent events, the bonds of friendship made this year will be more important than ever. 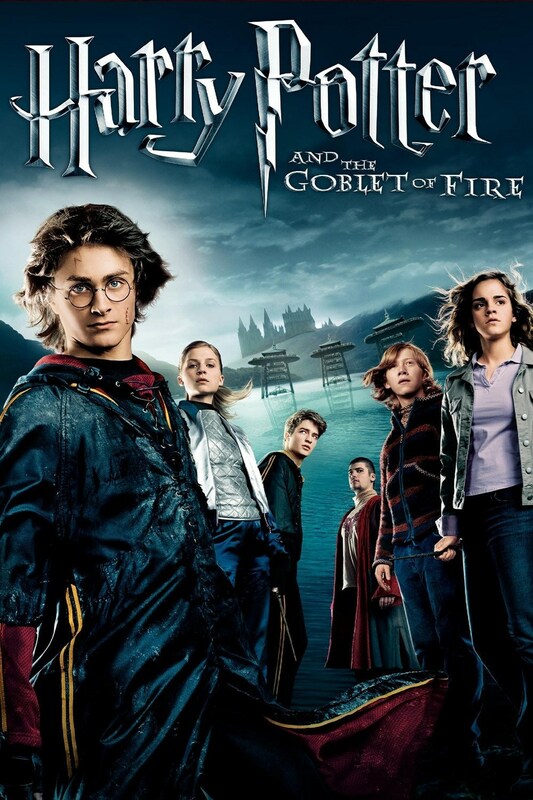 A Word from the Guise: From the very start of the film until the point that Harry is chosen as the fourth Triwizard Champion, the film feels very rushed. It’s not entirely the fault of the filmmakers; they did have to adapt a 734-page book into a 2.5-hour movie. The initial screenplay had to be severely trimmed as it was 700 pages long, which would have made it over 11 hours long. They considered doing a two-part movie, and I often wish that they had. There were a lot of scenes from the book that I loved and eagerly anticipated to see onscreen that didn’t make it into the final cut: the Dursleys’ encounter with the Weasleys; the Quidditch World Cup; anything to do with the house-elves and S.P.E.W. ; the list goes on and on. Ultimately, I am happy with the result of the film, because I understand that they couldn’t possibly have fit all of that into the final production. At least not without making it feel even more rushed. I will say that I didn’t care for either of Roger Lloyd Pack’s or Robert Pattinson’s performances as Barty Crouch, Sr. and Cedric Diggory respectively. Crouch is supposed to be curt and brisk, not harried and timid. I realise that they were probably trying to convey that he was under the Imperius Curse, but that did not register. Certainly anyone who hadn’t read the books wouldn’t have understood that. Pattinson’s performance as Cedric was much too arrogant and insincere. Cedric is supposed to be benevolent and the consummate altruist. You catch a glimpse of the true Cedric when he tips Harry off about how to figure out the clue for the Second Task, but other than that he’s a real jerk. Let us forget Michael Gambon’s violently angry portrayal of Professor Dumbledore. He did such a great job being eccentric and enigmatic in Prisoner of Azkaban, but he was much too furious in this one. My final note of criticism is this: I positively hated Crouch, Jr. says, “I’ll show you mine if you show me yours.” And then Dumbledore grabs Harry’s arm to compare Crouch’s Dark Mark to Harry’s wound. Why? Why are you comparing that? They’re not the same thing!